With this children's Easter bedtime meditation, your child will have a magical and wonderful journey seeing Easter eggs, bunnies and more . . . while floating on a puffy cloud that feels as soft as a cotton ball. Debbie Boucher wrote and is reading the guided meditation. Her voice is extremely calming and peaceful and perfect for this type of meditation. My name is Debbie and I am a mom, wife, sister, aunt, friend, co-worker, blogger, Reiki Master and Meditation Artist. One of my life purposes is to inspire and touch people’s lives through my meditations. I hope you find joy, comfort and relaxation as you listen to One with Nature. My second life purpose is giving Reiki to people and animals. If you would like to schedule a long-distance Reiki session or to learn more about me, please visit my website at https://creatingpositivethoughts.com/reiki/. Hope everyone enjoys this. It’s a little different from what is usually on the podcast, but when I was presented with the opportunity to be a part of this and send this out to my listeners, I decided why not!! Hi everyone and welcome to the Deep Energy Podcast. This is a podcast of New Age and Ambient Electronic music. You can find out about me and all of my music at www.jimbutlermusic.com including all the links to my social media pages. I’m mostly on Instagram and Facebook. There are ads at the beginning and end of the podcast. If you pause the podcast and start it again, depending on how you listen to it, another ad may start. The ads are a necessity to generate income to keep the podcast going. If you would like to hear the music without the ads, please go to my BandCamp page at www.jimbutler.bandcamp.com and copies of the podcast (in FLAC or 320 MP3 Quality) are available to download for between $3.00 and $5.00 depending on the length of the podcast. As always thanks for the support. Inching closer to number 100!! This is sort of an old school style deep energy podcast. Very spacey and relaxing. I hope you like it. If you would like to hear the music without the ads, please go to my Bandcamp page at www.jimbutler.bandcamp.com and copies of the podcast (in FLAC or 320 MP3 Quality) are available to download. This music was used for the Guided Meditation - Fireflies, Deep Energy 96. I had a few people E-mail me just looking for the music without the speaking part so here it is. Enjoy!! As always thanks for your continued support. Another guided meditation podcast! Everyone seemed to really enjoy the last one, so here is another. There is a 20 minute guided meditation at the very beginning and then 40 minutes of quiet peaceful music and nature sounds to complete the sleep process. If you would like to hear Sound Mandala or any of the podcasts without the ads, please go to my BandCamp page at jimbutler.bandcamp.com and copies of the podcast (in FLAC or 320 MP3 Quality) are available to download for between $3.00 and $5.00 depending on the length of the podcast. You can find out more about me and all of my music at www.jimbutlermusic.com including all of the links to my social media pages. I’m mostly on Instagram and Facebook. Welcome to a BONUS Podcast!! This podcast ‘One with Nature’ is a guided meditation to help with sleeping. There is a 15 minute guided meditation at the very beginning and then 45 minutes of quiet peaceful music and nature sounds to complete the sleep process. There are ads at the beginning and the end of the podcast. If you pause the podcast and restart it again, depending on how you listen to it, another ad may start. As always thanks for the support, it is appreciated and never taken for granted. You can find out about me and all of my music at www.jimbutlermusic.com including the links to my social media pages. I’m mostly on Instagram and Facebook. There are ads at the beginning and end of the podcast. Happy Solstice, Happy Holidays, Merry Christmas, Merry and Happy everything and New Year and all that happens in December. Thanks to everyone for listening and enjoying the podcast. Have a safe and happy and healthy new year. A little darker, more introspective tone for this podcast. Excellent at low volumes. Check out my website, www.jimbutlermusic.com to find out all about my music. This music is dedicated to my dad who passed away on August 20, 2018. Checkout some really great videos by Paradigm Meditations. They use my music and have a top notch group of people creating guided meditations and much more. Our aim is bring you guided meditations, music and sound that will help improve your life. We have assembled an All-Star cast of meditation artists and musicians for your enjoyment, relaxation, healing, and personal development. We will upload new guided meditations, hypnosis, ASMR, relax music every Wednesday and Saturday. We are honored that you've chosen to meditate with us. Namaste. A Better Night's Sleep Podcast is the sponsor of this episode. Please check them out!! Everyone could use a better night’s sleep. The podcast “A Better Night’s Sleep” can help you do just that. Get tips from experts on the best bedtime routines. Learn about sleep disorders and nightmares, and how even infants, children and teens can get better rest. “A Better Night’s Sleep” is hosted by Dr. Julie Kinn, a research psychologist at the Defense Health Agency. In each episode, Dr. Kinn hosts military sleep experts like Dr. Jonathan Olin, director of the Sleep Lab at Fort Carson, and Colonel Brian Robertson at Walter Reed Army Medical Center. They’ll answer listener questions, explain how sleep treatments work, and suggest how to change your sleep habits. Although the podcast was created with the military community in mind, anyone can benefit from A Better Night’s Sleep. Subscribe for free wherever podcasts are available. To learn more, Google “A Better Night’s Sleep Podcast” or search for “A Better Night’s Sleep” wherever you listen to podcasts. Thanks everyone and enjoy the music. This sounds great in headphones!!!! Thanks to the Better Nights Sleep Podcast for supporting the Deep Energy Podcast. The Deep Energy Podcast is sponsored by Weighting Comforts. What is Weighting Comforts? Weighting Comforts makes weighted blankets that help improve your sleep and reduce anxiety. These blankets are designed by a therapist and they help you fall sleep faster and give you a deeper more restful sleep. They have helped people with other things like PTSD, Anxiety, Restless leg syndrome and more. I receive e-mails frequently from people who say how much the podcast helps them relax, helps them sleep, helps calm them when anxiety sets in and I can’t think of another company that more perfectly matches up with what I try to do with my music than Weighting Comforts. Like I mentioned last month Josh from Weighting Comforts was kind enough to send me a blanket to try out. I wish I could say I have been using it every night but that would be a lie. I am sharing it with my wife. I get to use it for two nights, and then she uses it for two nights. I even tried to sneak in an extra night and she said ‘isn’t it my night for the blanket’. It was worth a shot. And yes we just call it ‘the blanket’. Neither of us had ever used a weighted blanket before. Like I mentioned before the blanket really is wonderful. I’ve been using it when I sleep, and I find myself not tossing and turning as much as I would usually, I’m having a much deeper sleep and been waking up relaxed. For her, the blanket feels comforting and she wakes up less during the night. If you go to their website www.weightingcomforts.com, there are testimonials and a ton of information on the different styles, fabrics and weights of the blankets, what they do, and how they help. I also wanted to mention that the blankets are handmade and hand sewn in Nashville, Tennessee by refugees working to create income for their families. The blanket I received was extremely well made and felt really solid. When you do decide to purchase a blanket, use the promo code deepenergy25 and you will get $25.00 off of your purchase. Besides the benefits for yourself, you will be helping support the podcast and refugee families! And they do ship internationally …. So that’s $25.00 off when you use the promo code deepenergy25 and thanks to Josh and Weighting Comforts for sponsoring the podcast!!! The website link is also in the show notes. And the Podcast is additionally sponsored by Audible. All excellent choices to improving your mind, body and soul. Audible helps you listen to more books by letting you switch seamlessly between devices, picking up exactly where you left off. Whether it’s on your phone, through your car, from a tablet or at home on an Amazon Echo, you can get through an unmatched selection of audiobooks (hands and eyes-free) while doing almost anything. Audible members get a credit every month good for any audiobook in our store, regardless of price, and your unused credits roll over to the next month. Also membership includes 30% off regularly priced audiobooks. If you aren’t 100 percent satisfied with your audiobook? You can exchange it, no questions asked. Plus, your audiobooks are yours to keep. With Audible you can go back and re-listen anytime, even if you cancel your membership. So why not start a 30-day trial and your first audiobook is free. Go to audible.com/deepenergy (that’s one word) or, text deepenergy (again that’s one word) to 500-500. You can do it all with audiobooks. You have an unmatched selection of audiobooks to choose form at Audible. From titles in Business, Classics, Romance, Fiction and Non-Fiction, Sports, History, Politics plus many New Age and Holistic titles available on your smartphone or portable device. I wanted to give a recommendation. Another book written by a musician. The Art of Asking written and narrated by Amanda Palmer. Based on her wildly successful Ted Talk, it’s the story of her life growing up outside of Boston, being a living statue outside of Harvard Square, joining the seminal Punk/ Cabaret band, The Dresden Dolls, her fledgling solo career, her innovated and sort of controversial crowdfunding of her last album, to her marriage to author Neil Gaiman and more. She has had an amazing life and this audiobook narrated by her, brings her story to life and she plays ukulele along the way! So that is my recommendation The Art of Asking written and narrated by Amanda Palmer. Thanks again to Audible for their support of the podcast!! You can find out more about me and my music at jimbutlermusic.com or you can just say hi at jimbutlermusic@gmail.com. Now Deep Energy 80 – Angels. Peace. Bye. Hi everyone, my name is Jim Butler and welcome to Deep Energy Podcast # 79 titled ‘the color of dreams’. How is everyone doing out there? Hope everyone is doing well!! An hour long ambient meditation is ahead. I hope everyone enjoys it. The Podcast is additionally sponsored by Audible! Energy Medicine by Dnna Eden. All excellent choices to improving your mind, body and soul . Audible helps you listen to more books by letting you switch seamlessly between devices, picking up exactly where you left off. So say you are listening on your drive into work, through your car, phone or tablet, it will pick up where you left off when you get home on your Amazon Echo. With Audible you can get through tons of books (hands and eyes-free) while doing almost anything. Audible members get a credit every month good for any audiobook in their store, regardless of price, and your unused credits roll over to the next month. If you are not absolutely 100 percent satisfied with your audiobook, you can exchange it, no questions asked. Plus, your books are yours to keep. With Audible you can go back and re-listen any time, even if you cancel your membership. Start a 30-day trial and your first audiobook is free. Go to www.audible.com/deepenergy or, this is so cool, text www.audible.com/deepenergy to 500-500 and Audible will get you set up and ready to enjoy an audiobook . You have so many choices on Audible. From titles in Business, Classics, Biographies, fiction and non-fiction, plus many New Age and Holistic titles available on your smartphone or portable device. Their interface is sharp and easy to navigate and find exactly what you are looking for. I wanted to give a recommendation. Since I am a musician I thought I would recommend a title about a musician. But not any musician, but the Boss, Bruce Springsteen and his autobiography ‘Born to Run’, read by Bruce himself! You can find out more about me and my music at jimbutlermusic.com or you can just say hi at jimbutlermusic@gmail.com. Now Deep Energy 79 – color of dreams. Peace. Bye. These blankets are designed by a therapist and they helps you fall sleep faster and gives you a deeper more restful sleep. The have helped people with other things like PTSD, Anxiety, Restless leg syndrome and more. Hi everyone, my name is Jim Butler and welcome to Deep Energy Podcast # 78 titled ‘Galaxies’. How is everyone doing out there? Hope everyone is doing well!! This podcast is a sonic journey, a relaxing, meditative quick trip to space …Hope you enjoy it. Josh from Weighting Comforts was kind enough to send me a blanket to try out. because I had never used a weighted blanket before. The blanket really is wonderful. I’ve been using it when I sleep, and I find myself not tossing and turning as much as I would usually, I’m having a much deeper sleep and been waking up relaxed. All positive things. If you go to their website www.weightingcomforts.com, (spell it out) there are testimonials and a ton of information on the different styles, fabrics and weights of the blankets, what they do, and how they help. When you do decide to purchase a blanket, use the promo code deepenergy25 and you will get $25.00 off of your purchase. Besides the benefits for yourself, you will be helping support the podcast! And they do ship internationally …. So that’s $25.00 off when you use the promo code deepenergy25 and thanks to Josh and Weighting Comforts for sponsoring the podcast. The website link is also in the show notes. One other thing, if you are in the Keene, NH area on Saturday, February 24th I will be performing a LIVE Deep Energy Electronic SoundBath. All the details are on my website under the show tab. Now Deep Energy # 78 - Galaxies. Peace. Bye…. All Drums this time out, I hope you enjoy it!!! will help improve your life. relax music every Wednesday and Saturday. We are honored that you've chosen to meditate with us. Just a quick thank you. The Podcast turns ten years old today!! So Thanks!! All of my listeners are awesome and I appreciate all of you!!! Deep Energy 63 - Live at the Thorne - Music for Sleep. Meditation, Relaxation, Massage, Yoga, Reiki and Therapy. Here is an old Dark Ambient podcast that I thought people would enjoy. It's from April of 2010. Here is another older podcast. This one is from May 10, 2007. New music coming soon. This was originally Dark Ambient Podcast # 24. Released 07.10.09. Cleaned it up a bit, got rid of the intros and outros. My brother Liam passed away on December 26th, 2015 after losing his battle with cancer. 'Sorrow, Loss and Remembrance was originally released as a Dark Ambient podcast way back in October of 2008, I though it was the perfect piece of music to honor his memory by. He was a good man and loved his friends and family. He will be missed every day and this music will now be part of his memory. Here is another old 'Dark Ambient' podcast. This one is from from June 10, 2009. Back with another old 'Dark Ambient' podcast. "Aura of the Heavens is from June 27, 2008. Here is another podcast from the 'Dark Ambient' days. I have been working on some projects and haven't finished the next podcast yet, so I thought I would upload a few of my older podcasts from my 'Dark Ambient' podcast days. This one is called '14 Planets'. It was originally released in February of 2008. Welcome to episode 50!!! Thanks to everyone who listenes AND downloads. Just wanted to let you know you can subscribe to high quality copies of the podcast through bandcamp. Check out the link for all of the details. Hope everyone has a good month. Hi Everyone, my name is Jim butler and you have stumbled upon Deep Energy Podcast number 49, Sounds of the early morning. if this is the first time you have heard the podcast, welcome. If you are a repeat listener, thanks for coming back! I need to apologize for the length of time between podcasts. It’s been almost 3 month since the last podcast. I had some computer issues..actually my computer died and I was in a car accident. I was shaken but fine, but my car did not make it. Anyway, I am back and ready to make more music for everyone. I did want to mention that I have started a Patreon page to help support the podcast. I will be releasing a new song or two (separate from the podcast music), every month. And everyone who signs up on my Patreon page will receive a link to download that music. At the end of the month you will be charged one or two dollars depending on how many songs I released. Sounds like a good deal to me! The link is in the show notes and it is www.patreon.com/jimbutler ..
On my website you can find links to all of my music, Facebook, Twitter, Tumblr, Pinterest, Bandcamp, iTunes and the rest of my social media accounts. As always if this is your first time or you have been listening since the beginning, I appreciate the support. Some ambient/drone for halloween.. Enjoy!! Boo!! I am teaming up with with PledgeMusic (like a Kickstarter just for musicians), and all of YOU to help me release my next CD ‘Deep Energy 5 - Music for Sleep Meditation, Relaxation and Yoga. When you pledge I can have the CD mastered by Dauntless Mastering in Keene and a really nice gatefold CD package made with professional artwork etc. Something to be proud of. With any extra money left over I will will be able to pick up a nice PA and laptop and take myself out and play live. The music that I create, would be perfect to be played in Hospitals, Hospice, Churches etc.. Playing live for me, would be the perfect avenue to give back to my community and the power of music to people who need it. With a good mobile rig, I will be able to do that. The podcast has always has and always will be free. It’s music that people use to help them meditate and sleep and relax, and I couldn’t be more proud of that. And when you Pre-Order of the CD, you will be directly helping the podcast. Besides the live equipment, I'll be updating my studio, so I can keep the podcasts free for a long time. Besides Pre-ordering the new CD at the PledgeMusic site, you can pledge for, from T-shirts and USB sticks filled with my music, including unreleased music to custom made royalty free music, that only you will have to my favorite, if you are in the Keene, NH area, I will deliver the CD personally and treat you to coffee and snacks!! And you can listen to me use my regional accent on words that should have r’s but don’t. And about the CD. It will be one track 60 minutes long and right now i’m picking between 3 or 4 different tracks to use. The actual face of the CD will be blank. Each CD will be signed, titled and numbered by me. So it will be a true collectors item. No two CD’s purchased through PledgeMusic will be the same. Needless to say if you have ever thought of supporting me and my music, or if my music has helped you in some small way, THEN PLEASE PLEDGE AT THE LINK BELOW!! And if you aren't in the position to help financially, not a problem. If you could share this with someone who enjoys Ambient/New Age Music I would sincerely appreciate it. PS: When I make my goal, 5% of any money raised over that goal will go to Monadnock Center For Violence Prevention. This podcast is made up of rehersals for my live show that I do at a the Yoga Studio in Keene, NH. This was done in one take with a looper. I hope you enjoy it. Thanks for listening and enjoy. Happy Holidays to all....It's cold here in the northeast with snow, so I decided to create a podcast which FEELS cold. I hope you enjoy it. Please remember to go to my website www.jimbutlermusic.com and check out all of the free and paid music, plus you can find me on Facebook, Twitter, Pinterest, YouTube, Instagram etc.... All of the links are on the front page. And i have on my bandcamp page a CD i have collaborated with a local yoga teacher called 'Laughing Spirit Yoga - A Moderate Yoga Flow', so if you can, check that out also!! I will have a new CD coming out soon. Details to follow and hopefully everyone who listens to the podcast can be involved with it!! As always thanks for your support of my music and all independent music everywhere. Hope everyone has a great New Year. My inspiration for the music for this podcast was the news that the Voyager 1 had gone interstellar, and how it is just traveling in space forever. What I wanted to convey in the music is a feeling of darkness, desolation and the loneliness of space. There are spots in the music, where there is no music and that was done on purpose. This music would be perfect for a deep meditation or music to fall asleep to. www.jimbutlermusic.com or you can e-mail me with any question, comments or just to say hi at jimbutlermusic@gmail.com . There you will find links to all of my Facebook pages, Twitter, You Tube, Instagram etc. You can also find links to where you can buy my music on Bandcamp, iTunes and Amazon.com. All of my music is available for commercial licensing. On the top right hand side of the website, there is a donation button. If you enjoy the podcast, please feel free to donate to help offset the costs. As always thanks for everyone’s support and enjoy the music. You can find out more about me and my music at www.jimbutlermusic.com. Also on my website, on the top of the column on the right side is a donate button. The podcast does have a fee involved to keep it running, so any type of support is welcomed. Thanks in advance, and thanks to everyone who has made a donation this month. It is greatly appreciated. Thanks a lot for listening and enjoy the music. Hope you enjoy this months podcast. Just some synth parts mixed in with some peeper sounds i recorded a few weeks ago. The bonus material is just 60 minutes of the peepers, with no music. The Bonus material can be found on my app. Welcome to Deep Energy 33 ‘Into the Sublime’. If this is your first time listening to the podcast, how it works is that there is 60 minutes of uninterrupted New Age/Ambient music. This month’s podcast is a quiet, sublime trip into the undercurrent of sound. I’ve been listening to this on a loop at night when I sleep. It has given me some pretty interesting dreams and really interesting feelings just as I’m falling asleep. I’m not sure what it’s triggering, but it’s pretty cool…I hope you enjoy it . On Bandcamp you can find my latest release. Music for Balancing and Awakening your chakras. The Chakras music is done!! Please listen before you purchase. This is a little different than what I usually do. For each collection I took one piece of music and played the same piece of music in a different key to correspond to the different chakras in your body. So even if each track sort of sounds the same, you can trust me it isn't..:+) Really took me awhile to get this organized and sounding great. There are energy centers though out the body. Each of those energy centers will respond to a different sound vibration. So if each track is basically the same except played in a different key the body should respond to it a very natural way. I listened to a ton of different 'Chakra' CD's. All of them had different songs for each chakra, and that didn't really make sense to me. So i approached it differently. The 'Awakening' Chakras are the same as the 'Meditative' Chakras except that I added a sequencer into the music, which made it a little more alive and responsive. So please listen enjoy (and let me know what you think) and if you enjoy it enough and think it will help you, please purchase. AVAILABLE as a Double CD or an hour and a half download. I also have an iPhone App which has many, many hours of bonus and extended versions of the podcasts. You can find out more about me and my music at www.jimbutlermusic.com or e-mail me at jimbutlermusic@gmail.com. On my website you will find links to all of the places where you can purcahse my music like, Amazon.com, iTunes, Bandcamp etc.. There is also a button that you can use to make a donation to help offset the costs of the podcast. Any amount is grately appreciated and thank you. I have a 2 new recordings available for purchase. Titled 'Chakras for Balancing and Awakening' and 'Chakras for Meditation and Sound Therapy'. They are available at Amazon.com now and www.jimbutler.bandcamp.com in a day or so. They consist of one peice of music, played in the same style, but in different keys that correspond to the different chakras in your body. Also new at www.jimbutler.bandcamp.com you will find most of the podcasts available to be licensed commercially royalty free!! So check it out if you have a Yoga class that needs music, or music for a YouTube video etc...Available in full length (60 minutes) and single length (5-10 minutes). I hope everyone has a great month. Enjoy the music..
Hi I’m Jim Butler and Welcome to Deep Energy Podcast # 30 – Music from the Pond. If this is the first time you are listening to the podcast, I speak for a few minutes and then there will be at least an hour of uninterrupted new age, ambient electronic music. You can find out more about me and my music, on my website at www.jimbutlermusic.com. On the website you will find links to all of the past FREE podcasts, plus links to buy my music from Amazon, iTunes and Bandcamp, information about my iPhone App, and links to my personal and fan Facebook pages, Twitter feed, YouTube channel, Tumblr and Pinterest blogs. You can Email me at jimbutlermusic@gmail.com. There is also a donate button on the web site. Any type of donation, helps to offset the cost of the podcast. Thanks to everyone who donated last month your support is greatly appreciated. This months podcast is a compilation of different past podcasts. It’s very listenable and I hope you enjoy it. It’s 90 minutes long and as a little present to everyone, no speaking in the beginning. :+) The bonus material for the app will be up in a few days. One other thing, all of my music is on sale at www.jimbutler.bandcamp.com for pay what you want until the end of December. The sounds that are playing behind me is a recording I made the night of the Hurricane. I recorded about 3.5 hours worth of wind and rain. I wanted to do something with it that would help people put out by the storm, and I think I have. If you go to my bandcamp page www.jimbutler.bandcamp.com it will bring you right to a page that has available all 3.5 of the storm footage I recorded. I’ve been listening to it for the past few days and it powerful and humbling and strangely calming to listen too. Perfect for sleeping or on the headphones while you are working or meditating. The cost of the recording is name your own price. What that means is that you can download it for free or you can pay whatever you like. Any money that I collect from this recording will be sent to the Red Cross. At the end of the month I’ll publish my royalty statement and my receipt from the Red Cross on my webpage and my Facebook Pages. Bandcamp does take a small percentage around 15% but anything beyond that will go to the Red Cross Disaster Relief fund. So please donate if you can, if you can’t that is cool too. As always thanks for listening and talk to you in about 30 days or so. If this is the first time you are listening to the podcast, I speak for a few minutes and then there will be an hour of uninterrupted new age, ambient electronic music. There is also a donate button on the web site. I so any type of donation, helps to offset the cost of the podcast. Thanks to everyone who donated last month your support is greatly appreciated. Hi everyone, My name is Jim Butler and this is Deep Energy Podcast number 27, titled ‘A Walk in Space’ If this is your first time listening to the podcast, how it works is that I speak for a few minutes, then there is 60 minutes of uninterrupted Ambient/Electronic Music. You can find out more about me and my music at www.jimbutlermusic.com. On my website you can find links to all of the past podcast, links for my pages at You Tube, Twitter, Facebook, Tumblr and Pinterest and links to places where you can purchase my music, including my new single titled ‘Dreamcatcher’ for only .99 cents from Amazon, iTunes, E-Music etc…which is playing in the background right now and my iPhone App which has many, many hours of bonus and extended versions of the podcasts. Hi everyone, My name is Jim Butler and this is Deep Energy Podcast number 26, titled ‘A Deep Dark Meditation’ If this is your first time listening to the podcast, how it works is that I speak for a few minutes, then there is 60 minutes of uninterrupted Ambient/Electronic Music. You can find out more about me and my music at www.jimbutlermusic.com. On my website you can find links to all of the past podcast, links for my pages at You Tube, Twitter, Facebook, Tumblr and Pinterest and links to places where you can purchase my music, including my new single titled ‘Solitude’ for only .99 cents from Amazon, iTunes, E-Music etc…which is playing in the background right now. Also on my website, on the top of the column on the right side is a donate button. The podcast does have a fee involved to keep running, so any type of support is welcomed. Thanks in advance, and thanks to everyone who has made a donation. It is greatly appreciated. Please see the show notes for additional info on the music for today’s podcast. Hi everyone, this podcast is actually a remix of an earlier Dark Ambient podcast, which was one of my favorites that I had forgotten about until recently. Someone had decided to use this piece of music as a background for a guided meditation, so I went back and re-listened to it, and decided that I could do a better job of mixing and mastering it. So what you are listening to today is the remixed and re-mastered version. I also went back and slowed it down a little more. I think by doing that it added a little more depth to the music. I hope you agree…. There is also a donate button on the web site. I recently had to switch podcast providers and I am now charged a monthly fee, so any type of donation, helps to offset the cost of the podcast. Your support is greatly appreciated. Hey everyone, I'm back ....A 60 minute very mellow ambient trip.. I hope you enjoy this podcast, 60 minutes of space ambient! For this video, the images are from NASA and the music is from the the 'Aura of the Heavens' podcast from awhile back. So please check out the new Podcast and YouTube channel and please leave a comment or review. I’m also looking for images of nature, beaches, 3D computer images etc.. for upcoming videos. If you would be willing to share I’ll make sure you are credited on the video. E-mail me at jimbutlermusic@gmail.com and I’ll e-mail right back. The regular audio podcast will be back as soon as I finish the new CD. You can find out more about me and my music, my iPhone App, including links to my Facebook pages and Twitter feed at www.jimbutlermusic.com . Hello hope everyone is doing well…I hope you enjoyed the music, I really enjoyed putting it together for you. If you would like to use my music for commercial use, please check out the links for the different companies that are licensed to sell my music royalty free..on the frontpage of the website. A 90 minute version with out any speaking will be available as the extra audio through the iPhone App and A 70 minute version of this podcast can be found at Amazon.com, in a few weeks. A big thanks to everyone clicking on the Amazon.com Associate link on the front page of the website. If you use that link to get into Amazon, I receive a small percentage of what you buy and that in turn helps to keep the podcast free. So if you go shopping at Amazon, please use the link on the front page of the podcast. And it doesn’t cost you any extra. I’m also have an Associate link for Thesis for Wordpress. If you like the clean design of my website, click on the link and Check out Thesis. Make sure you checkout my website for all of the info on the compilations I am involved with..
Hi, I’m Jim Butler and the Deep Energy and the Dark Ambient podcasts are sponsored by Angies list. If you need help finding someone reputable to work on your house, car, boat maybe someone to shovel snow …check Angie’s list first …You can find good and not so good reviews of many different services being offered in your area . When you sign up for Angies list, and use the promo code ‘energy’ when you checkout, you will save 25% on your membership and be helping out the podcast as well. So remember the promo code energy and save 25 % at angieslist. As always a big thank you to angieslist for their continued support of the podcast. It’s a combination of ambient piano with different nature sounds. I put together 7 or so different piano pieces I made and added different nature sounds that I had recorded. I hope you like it. If you do enjoy it, you can get the extended 90 minute version at www.jimbutler.bandcamp.com . There are three different versions available. The version that was the podcast extended to 90 minutes. A version of just piano without the nature sounds. A version of just the nature sounds without the piano. So that’s 4.5 hours of music/nature sounds for 5.00 in wav or FLAC or 320 mp3 quality. A new Dark Ambient Podcast will be out in a few weeks. That podcast is coming together nicely …. Please check out all of my music at www.jimbutlermusic.com. I just put up on the front page links to companies that you can license my music for Film/TV/Ads etc….Also on the front page are links to my Twitter and Facebook pages if you are so inclined.. There is a link on the front of my website to amazon.com. If you are doing holiday shopping this year at amazon and you use that link to get to amazon, I receive a small percentage of what you purchase, so thanks in advance!! Please checkout www.thisambientlife.com my new podcast where i play other musicians ambient/new age/electronic music. First you can get the entire 6 hours of the Dreamstate recordings at HYPERLINK www.jimbutler.bandcamp.com It’s free or pay what you like…in FLAC or WAV or 320kbs mp3’s. It’s a pretty good deal. All of my releases are now up at bandcamp also..As well as at Amazon, iTunes, E-music, Spotify, etc.. Check my website for the complete list…. The new podcast is called ‘this ambient life’. I’m doing this podcast for a few reasons. One I have ALWAYS wanted to be a DJ..and this is a perfect chance to do that. Two I listen to ambient/electronic/new age music all of the time and I think I would be pretty good at picking out music that I think people who listen to the podcasts might like. This first episode is a nice mix of ambient, a little space music and some new age guitar and piano. It will vary from podcast to podcast, but trying to keep it relatively on the light side of ambient. If this does well and I have more time, I’d like to try a Dark Ambient podcast of other people’s music also. We will see….If you are a musician, please click on the submissions tab and leave me a track. If you need someone to work on your home, Auto or maybe a recommendation for a doctor to help you get over the flu…Make sure you check out Angies list first. If you decide to go with angies list, make sure you use the promo code ‘Energy’ when you check out and you will save 25% on your membership. So remember when you are looking for that Doctor to get a flu shot or maybe some antibiotics ….check out the recommendations at Angies list and you will save 25 % by using the promo code energy. And thanks to Angies list for supporting the podcast. This is Deep Energy Podcast # 12 Titled Dreamstate Part 1!! This is the one year anniversary of the podcast..! !..This a one hour uninterrupted podcast of music for meditation or whatever you would like to use it for. After the music is over I’ll let you know about all 4 parts of this set of music…and now the first hour of .Dreamstate part 1 Enjoy. Hey everyone …how is everyone doing? ..as you can tell I’m battling actually my second cold of the summer. I’m recording this ocne, but using it for both podcasts to save my voice. I hope you enjoyed the music ..Sort of a low energy, rambling not spacey, but almost drone-y piece.I think it’s perfect for nighttime listening or deep meditation…. The entire Dreamstate recording is 6 hours long. Part 2 will be the Dark Ambient podcast for eptember. Part 3 and 4 will be the Deep Energy and the Dark Ambient podcasts for October. You can also go to www.jimbutler.bandcamp.com and get all 6 hours right now for Free or pay what you want. And you can download as either wav Flac or 320 bit mp3 files. I’m sort of trying BandCamp out to see if it something that will be useful for both myself and everyone that listens. So checkout www.jimbutler.bandcamp.com and let me know what you think. All of my recordings are out there for high quality downloads. Also available at bandcamp and itunes is ‘origins of the light.’ It is a 16 track retrospective of past podcasts. I took bits and pieces of some of the lighter, new-ageish podcasts and found my favorite parts and made a collection. If you have only listened to the Deep Energy podcast, this collection might help you enjoy some of the older Dark Ambient podcasts. The download is 9.99 at iTunes and it’s Free or Pay what you want for a limited time over at Bandcamp. My show on Enlumina radio is on Tuesday nights at 10 pacific time …Playing some of my older podcasts ..all the way through…you can find them on live 365.com and all of the radio stations that play my music are listed on the front page of my website. I’ll leave you with a track from Origins of the light. This track is called ‘Sorrow and Loss’ This is from Dark Ambient podcast # 19. As always, thanks so much for listening and your support of the podcasts and my music. The Deep Energy and Dark Ambient Podcast is sponsored by Angies List. If you need someone to work on your home, repair your car or even a massage therapist please check Angies list first. Angie’s list has thousands of good referrals, and not so good referrals , for many different services, personal, auto and home. So before you start work on your roof or think about music or landscaping work done or where to bring your car to be serviced, please check out Angies list and make sure you use the promo code ‘Energy’ and save 25%. Thanks to Angie’s list for their continued of the podcast. The podcast is also sponsored by Audible.com. If you go to www.audiblepodcast.com/jim butler you can get your first book free!! I'll let you know what my pick is for this month after the music. The full 90 minute version will be available through the iPhone App, and a 70 minute version with out any speaking or ads will be available at Amazon.com in a bout two weeks or so. New CD Deep Energy 3 is available from my website, www.jimbutlermusic.com It’s also available at Amazon and iTunes and E-music. www.ambientmusicgarden.com and my good friend Guy, will help you right out. The Podcasts are sponsored by Angies list. If you need someone to work on your home, repair your car or even a massage therapist please check Angies list first. So before you start work on your roof or think about music or belly dancing lessons, need work done to your car, please check out Angies list and make sure you use the promo code ‘Energy’ and save 25%. Thanks to Angie’s list for their continued of the podcast. This podcast is also proudly sponsored by Audible.com. You can get a free audio book when you sign up at www.audiblepodcast.com/jimbutler. I will give you more info and my choice of audiobook for this month after the music. Hello hope everyone is doing well…and you enjoyed the music. The podcast is very happily sponsored by Audible.com. using the website www.audiblepodacast.com/jimbutler you’ll have an exclusive offer not available on the regular website. You will get your first book free. My first recommendation is by one of my favorite authors – Sharon Salzberg and it is 'Lovingkindness Meditation: Learning to love Through Insight Meditation'. So check out www.audiblepodcast.com/jimbutler and sign up and get LovingKindness or one of the other 75,000 titles available. Available to US and Canadian residents only. You can now purchase a 70 minute extended version of both podcasts without ads or me speaking, exclusively through Amazon.com for only .99cents. The link is in the show notes or just punch in jim butler into amazon.com and you will be able to download them. New CD Deep Energy 3 is available It’s also available at Amazon, iTunes, E-music etc.. The information and link about my new iPhone App is also available at my website. www.jimbutlermusic.com A reminder that the full 90 minute podcast without and ads or speaking is ONLY available through the iPhone App using the ‘Extras’ button. If you would like to use my music in a commercial venture, please go to www.ambientmusicgarden.com and my good friend Guy, will help you right out. The Deep Energy Podcast is sponsored by Angies list. If you need someone to work on your home, repair your car or even a massage therapist please check Angies list first. Angie’s list has thousands of referrals good and not so good, for many different services, personal, auto and home. New CD Deep Energy 3 is available from my website, www.jimbutlermusic.com I’ll play a short sample be a short sample of it in a minute. It’s also available at Amazon and iTunes and E-music. The information and link about my new iPhone App is also available at my website. A reminder that the 90 minute extended version of this podcast without and ads or speaking is available through the iPhone App using the ‘Extras’ button. One of the sponsors of the podcast is Angies list. If you need someone to work on your home, repair your car or even a massage therapist check Angies list first. Angies list has thousands of referrals, good and not so good, for many different services, personal and home. So before you start work on your roof or think about keyboard lessons, check out angies list and use the promo code ‘Energy’ and save 25% thanks to Angies list for supporting the podcast. Ok to the music stuff…. 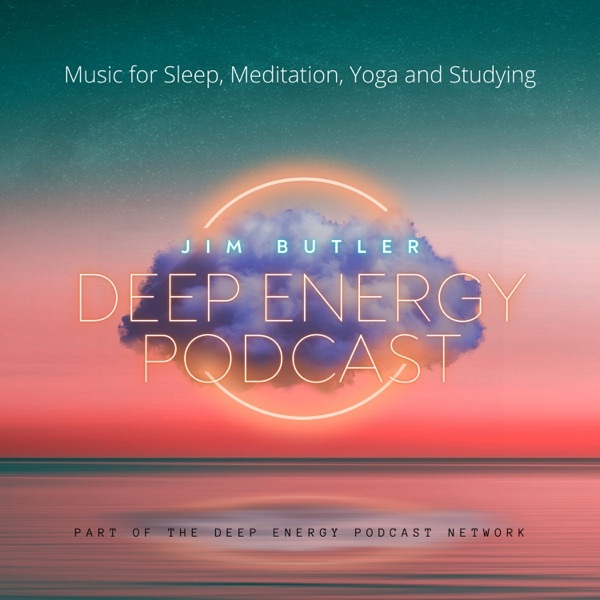 New CD Deep Energy 3 is available from my website, www.jimbutlermusic.com There will be a short sample of it after the podcast and that is what is playing under my voice right now. The information and link about my new iPhone App is also available at my website. A reminder that the 90 minute extended version of ‘Adrift’ without and ads or speaking is available through the iPhone App. I’m proud to have Petco.com as a sponsor of the podcast. Petco is one of the leading, specialty retailers of premium pet food, supplies and services and ship to the US and Internationally. For listeners of the podcast PETCO.com has set up a great deal. If you go to Petco.com/energy you will automatically get 10 % off of your order and free shipping if your order is over $65.00!! A pretty cool deal….So Petco.com/energy and 10% off and free shipping over 65.00…. Chemistry.com is a product from Match.com, the world's leading online dating and personals site. The Chemistry Profile draws upon the research of Helen Fisher, Ph.D., a world-renowned biological anthropologist. The interactive, engaging personality test developed by Dr. Helen Fisher has been taken by more than 7 million members worldwide in 40 different countries. In February 2009, Chemistry.com celebrated its 3 year anniversary. Chemistry is full of more than 5 million diverse, passionate, and unexpected people across the U.S. looking for a lasting relationship. Chemistry.com is the place for people looking for a relationship that's defined in their own terms. And no one else's. We pride ourselves on having an open-minded, “Come As You Are,” philosophy – we do not judge, reject or discriminate against anyone. One of the sponsors of the podcast is Angies list. If you need someone to work on your home, repair your car or a massage therapist check Angies list first. Angies list has thousands of referrals, for many different services, personal and home. So before you start work on your house or think about keyboard lessons, check out angies list and use the promo code ‘Energy’ and save 25% thanks to angies list for supporting the podcast. Stream ALL (Deep Energy and the Dark Ambient) of the podcasts in the background, so you can do other things on your phone at the same time. Be able to see the episode notes right on the phone. There is artwork for almost all of the podcasts. Downloadable wall papers for your phone taken form my collection of personal photographs. And for most of the older podcasts, I went back and did a remix of them and shortened them to about 20-30 minutes of music. For all of the Podcasts going forward, the bonus audio will be the Current podcast expanded to 90 minutes with no speaking, ads etc….so just pure music ….So the bonus feature for this podcast will be a cool wallpaper download and the Peace and Beauty podcast expanded to 90 minutes with no talking by yours truly ..and this includes the Deep Energy Podcasts as well.. If you need to use my music for commercial use, please go to www.ambientmusicgarden.com and check out the reasonably priced selections that are available. Please check out my other Podcast, Dark Ambient. That podcast is available on itunes. Hello hope everyone is doing well, hope your holiday is a good one…This months podcast is titled Dreams and runs about 55 minutes long, it’s a very peaceful, meditative selection….a perfect companion for the cold winter swirling around us. I’m proud to have Angieslist.com as a sponsor of the podcast. At Angieslist you will find thousand of unbiased ratings on services for home improvements, car repairs, massage therapists even spa services. Just for listeners of the podcast, if you get a subscription to angies list and use the promo code ‘Energy’ when you check out, you will save 25%!! A quick shout out to …movingthrhoughspace@live365.com where Songs from my Deep Energy 2 cd is in their Top Ten list for November …. Please check out my other Podcast, Dark Ambient which this month features very cool synth space music with Apollo Space missions audio tracks overlaid on them. That podcast is available on itunes. Thanks for listening to Dreams, before you hit the stop button I want to let you know about one other sponsor of the podcast and that is chemistry.com Chemistry.com is a product from Match.com, the world's leading online dating and personals site. Chemistry.com is full of more than 5 million diverse, passionate, and unexpected people across the U.S. looking for a lasting relationship. They pride themselves on having an open-minded, “Come As You Are,” philosophy – they do not judge, reject or discriminate against anyone. Hello hope everyone is doing well…Part 2 of this podcast is available as the Dark Ambient # 28 Download for December so please download that and enjoy…..
At the end of the podcast will be a 5 minute sample of my CD Deep Energy 2. This CD and all of my recordings are available at iTunes, Amazon.com, E-Music.com, Rhapsody and Napster. The link to all of those recordings is on the Download/Discography page of my website www.jimbutlermusic.com. Also on my front page are links to my Twitter, Facebook My MySpace Pages. On the Links page on my website, you will find links to the Fan Pages for both the Dark Ambient and the Deep Energy Podcast. The music you are listening to now under my voice is a 30 minute download that will be available to anyone who make a donation for the podcast through the paypal button on my website. Once you make a donation, I’ll send you an e-mail where you can download the track from. If you don’t hear from me in 24 hours please send me an e-mail at jimbutlermusic@gmail.com and I’ll get right back to you. It’s a 30 minute download, and I appreciate your support of any amount. Thanks to those already who have made donations and I’ll be sending you the link as well….. Please take the time to go through my website, there are links to all of the podcasts, different links and articles about Music, Meditation, Buddhism etc.. from different writers and websites, plus there is a page which is slowly filling up with free downloads of unreleased music. There are Banner ads and google ads on the website, just so you know clicking on those ads or accepting offers from the different companies does help to support the podcast. On the bottom left hand side is a Amazon.com search box, please feel free to use that for your Amazon shopping and the podcast will get a small percentage of your purchases. If you have a website, blog or an RSS feed and you would like to exchange page links, please send me and e-mail and I’ll be in touch right away. If you enjoy the podcast, please leave a review at iTunes. All music on this podcast is licensed under a creative commons license to support the artist. If you want to use the music for a personal website, or non-profit please let me know. If you would like to use the music for other use, please let me know and we can work out something mutually agreeable. You can find the Deep Energy and the Dark Ambient podcasts at iTunes. Hello hope everyone is doing well…I’d like to thank everyone who came back and has subscribed to the podcast. It looks like it will probably even out to about 60,000 downloads a month. The podcast has been in and out of the top 100 music podcast at Itunes all month and is still listed in the new and notable section. That is a great and humbling honor. Thanks very much for that …!!! This months podcast is a quiet piece that runs about 60 minutes long. The sounds sort of ebb and flow through the hour, great for a mind resetting or just an interesting background soundscape. At the end of the podcast will be a samples of my Deep Energy CD’s that are available at iTunes, Amazon.com, E-Music.com, Rhapsody and Napster. The link to all of those recordings is on Discography – Downloads page of my new website www.jimbutlermusic.com. I say new as I have switched from using WordPress.com to Squarespace. Squarespace gave me a little more freedom for what I needed to do for a music - business website. On the front page you can find links to all of the Social Media sites I am on, Twitter, My Space, Facebook etc…On the links page you will find a link to my Fan Pages in Facebook for the Podcast and the Dark Ambient podcast as well. Please feel free to join those. I will be updating them once a new podcast is up at itunes. All music on this podcast is licensed under a creative commons license to support the artist. If you want to use the music for a personal website, or non-profit please let me know. If you would like to use the music for other use, please let me know and we can work out something mutually agereeable. Please check out my other Podcast, Dark Ambient which is available through iTunes. Hello hope everyone is doing well…I would like to thank everyone for making the first episode of this podcast a great success. The first month had almost 80,000 downloads. So thanks very much. This months podcast is almost 80 minutes long and great for just some very cool background music or to meditate to at low volumes. I hope you enjoy it. There will be aFan Page for the podcast at Facebook in a few days. If you enjoy the podcast, please leave a review at iTunes or one of my recordings at iTunes, Amazon or E-Music.